There is an endless amount of advice, blogs, videos, friends, and family members telling you what to include on your resume. But you might be hard-pressed to find what you SHOULDN’T include. What was previously expected to be listed is now compromising your personal security. Let’s face it; there are folks out there who want to get your information – this is why passwords exist. Your resume has heaps of personal information. If you are posting your resume on open sites, you can’t always be sure who is looking at it. Protect yourself and remove the following information from your online resume. Employers do not need to know your full street address before you have accepted an offer. Would you post your full address on social media? Of course not! Having only your city and state listed is perfectly acceptable. I’ve heard stories of job seekers receiving unexpected checks in the mail during their job search from companies they’ve never heard of. 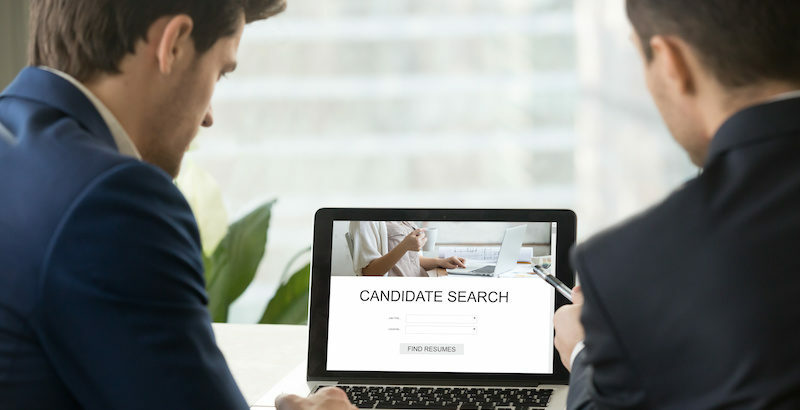 The individuals sending these checks are hoping desperate job seekers will cash the checks, allowing them access to untold amounts of financial information. Don’t let this happen to you! Imagine the roles were reversed; a coworker lists your name, work email, phone, and job title on their resume and starts posting it on open job sites. You probably wouldn’t appreciate having all of your information out on blast, especially if you start getting some unexpected contact. You wouldn’t want this – so don’t do it to someone else. Especially someone you’re asking to do you a favor in the first place. Pro Tip: Remove “References Available Upon Request” from your resume. The reader assumes you will be able to provide references when asked (likely during an interview). SUPER Pro Tip: Bring a list of your references and their contact information to your interview, making sure the same header you have for your resume is listed on your reference sheet. This will make your documents cohesive. Most folks are not linking to their Facebook or Instagram accounts on their resumes. But are you 100% confident your personal pages are fully private and can only be seen by your connections? What’s to stop you from posting your resume and having someone look you up on Facebook with the following parameters “John Smith, Washington D.C.”? Conduct a social media inventory to A) Make sure your accounts are private and B) Make sure any accounts you only used a few times and abandoned are taken down. At one time or another, you likely tried out a social media site; it wasn’t right for you, so you just stopped using it. Did you remove your account or just stop using it? If you’re not sure, double-check to ensure you don’t have inactive accounts you wouldn’t want someone else to stumble across. You also need to make sure you’re active on sites you link to in your resume. If your LinkedIn URL is on your resume, you should be a very active user with a fully completed profile. If not, recharge your LinkedIn account and add it back to your resume later. This includes (but is not limited to): Social Security numbers, your date of birth, details of your appearance or gender, driver’s license details, passport information, the number of children you have and their ages, or your marital status. These details should not be shared. Period. This is the perfect time to assess what’s already on your resume and start removing information that could compromise your personal security. If you already posted your resume with this information – don’t panic! Take some time to assess where you’ve put out your resume and take it down. If you believe your security has been compromised, contact local law enforcement, update your passwords, and connect with your financial institutions. In 2019, we all have to be more aware of what we put out there. Don’t live in fear; live with confidence that you made the right choices to keep your information secure during a job search.